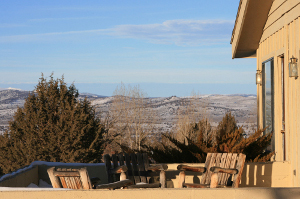 The property receives Verizon cell phone coverage as well as limited ATT and T-Mobile coverage. Wireless satellite Internet is available in the lodge. 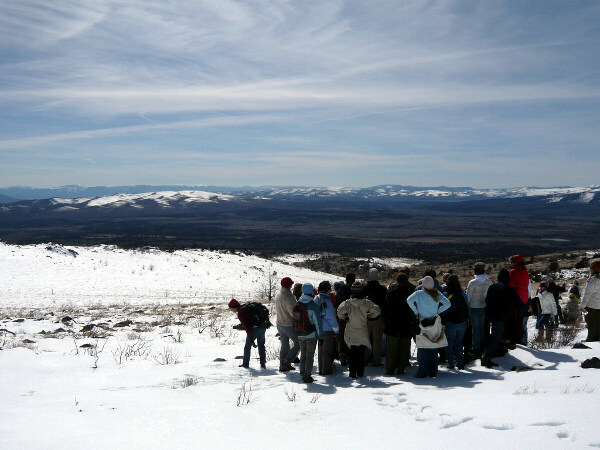 The facilities are fully winterized and operate year round. 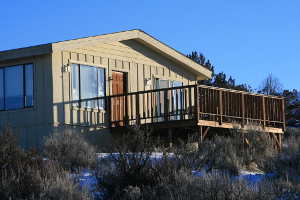 Suites and cabins have their own bathrooms and house 2-4 people. The lodge has several bedrooms which share seperate male and female bathrooms. 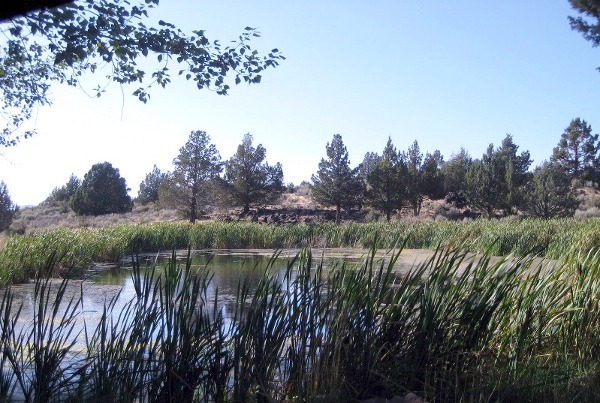 Miles of trails run up and down the volcano and the crater. 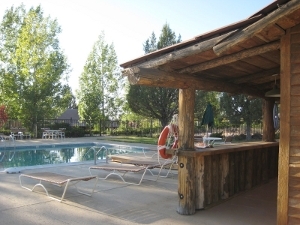 Pool and sun patio offers its own pool house with showers and bathrooms. There are tennis and volley ball courts. Thunder Mountain has four meeting rooms with martial arts style mats on the floors. 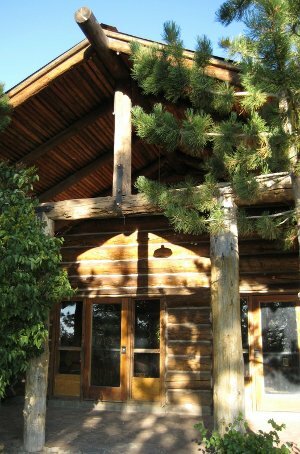 3 meeting rooms are in the log building call Mountain Lions. These rooms accomodate groups of 20, 35 or 60. 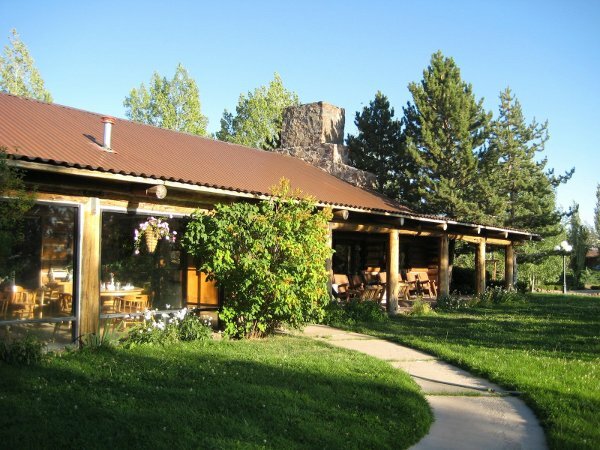 The room with vaulted ceilings and a fireplace holds 35 people. The other 2 rooms have standard ceilings. 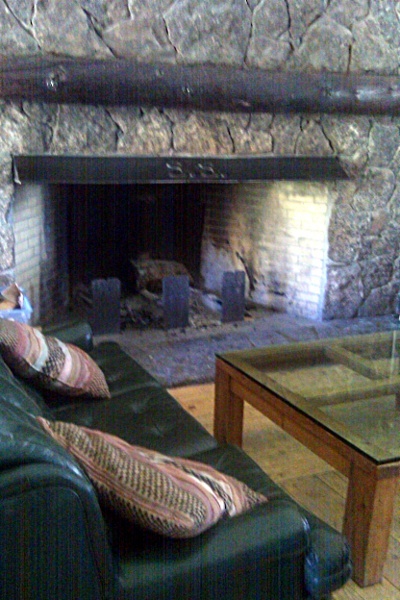 The fourth meeting room is in a stone building with vaulted log ceilings which accomodates larger groups. 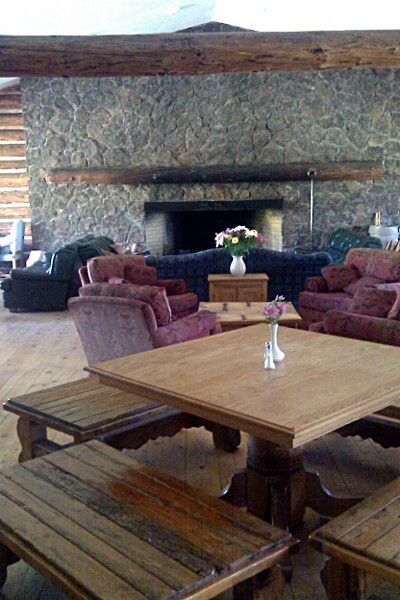 The lodge houses a room full of couches and coffee tables for comfortable chats around the fire. 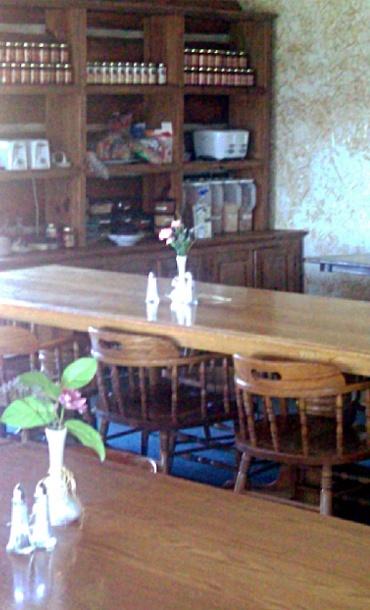 The dining room is furnished in oak. 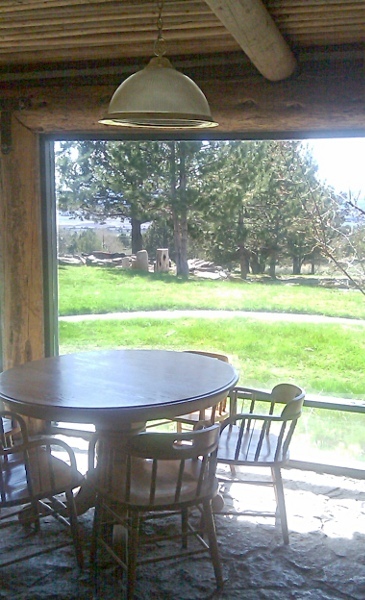 The solarium provides a sunny scenic spot for eating. 3 meals a day are served buffet style. Vegetarian and non-vegetarian menus are available. Special diets can be catered for. Ingredients are organic when available (about 90%). Dairy is organic when available, otherwise hormone free. Eggs are free range from and Oregon farm. Meat is also free range and hormone free when possible. All produce and ingredients are supplied locally or regionally when possible. Full service BBQ grill, oven, and smoker with tables and benches for eating outdoors. Copyright ? 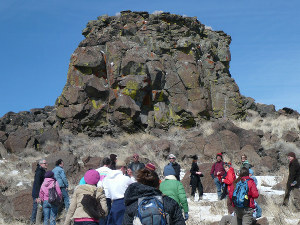 2010 Volcanic Ventures. All rights reserved.